Whenever someone asks me what I do I will sometimes say that "I spend most of my time teaching others how to spend theirs." When I wrote my third book “Dreams2Destiny”, I told my personal story of going from one career to another; from the contemporary Christian music world to starting a church and being a pastor. It feels like destiny. I teach about destiny. Some call it purpose. Others may call it fate. Some may look to the stars. As a Christian, I look to the One who made the stars. My destiny is to walk on the path that God has set up for me. It’s what all believers desire. We want to do what we were created to do. The word “destination” is derived from it. We want to be where we are supposed to be. One of my favorite movies is called “Serendipity”. 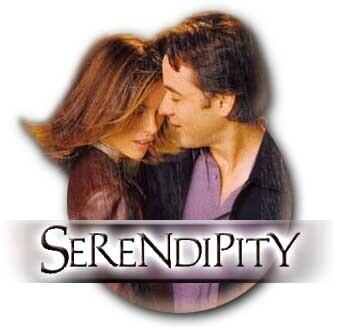 Serendipity means "the faculty or phenomenon of finding valuable or agreeable things not sought for." I call it destiny. Some call serendipity "luck" or fate. They say that sometimes things just happen. Let me give you a couple of serendipitous things. It was the Native Americans that when needing water, tapped into a maple tree and made the first maple syrup as they boiled off the sap. Another moment of serendipity came when Mr. George Ballas was in his car at the car wash and noticed the strings of brushes cleaning his car. He looked at them on the rotating brushes and an idea "popped" into his head. I wonder if a nylon cord, spinning around at a very high speed, could trim the grass and trees around the house. That's right, the Weedeater was born!These valuable things came without intense pursuit. God is the master of serendipity. He created it. He embodies it! In fact the bible says that he is able to give to us "exceedingly and abundantly above all that we ask or think. "(imagine) I personally believe that things don't just happen. God is always orchestrating our steps. God loves to surprise us too! I want you to imagine something today. I want you to see the Grand Designer, the Creator of Serendipity getting ready to "surprise" you right now! You are going to find some valuable and agreeable situations coming your way that you never even looked for! Dreams really can come true! Are you ready to have the Lord turn your dreams2destiny?